Overall, the CSX Transportation network encompasses about 21,000 route miles of track in 23 states, the District of Columbia and the Canadian provinces of Ontario and Quebec. Our transportation network serves some of the largest population centers in the nation. Nearly two-thirds of Americans live within CSX’s service territory. CSX serves major markets in the eastern United States and has access to over 70 ocean, river and lake port terminals along the Atlantic and Gulf Coasts, the Mississippi River, the Great Lakes and the St. Lawrence Seaway. The company also has access to Pacific ports through alliances with western railroads. CSX is an innovative and progressive North American railroad. We’re also a very human company, and we speak and act on a very human level. Our voice is optimistic, honest, fact-based and poignant. All communications should reflect this tone. 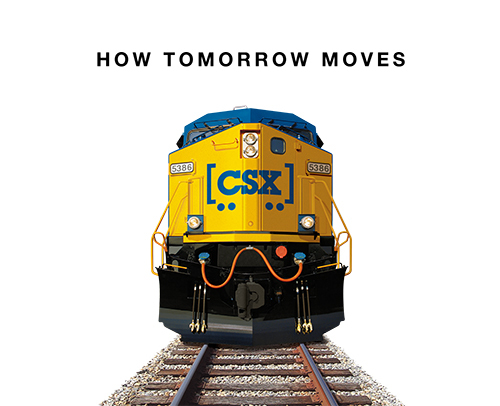 In 2007, CSX launched our HOW TOMORROW MOVES campaign. These three words continue to be integral to our brand and communications. They are also the basis for our latest brand evolution. Moving forward, we will be emphasizing and embracing the forward-thinking and optimistic outlook CSX has on the future. 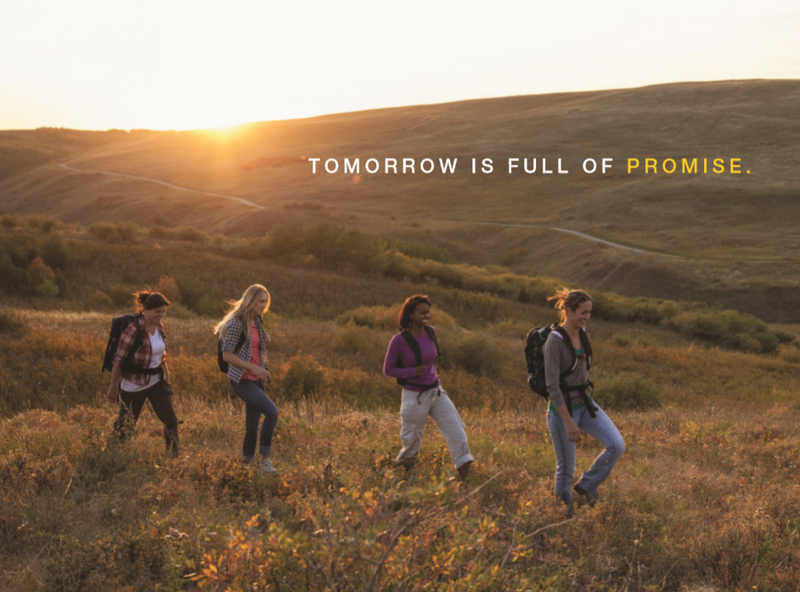 TOMORROW is taking a more prominent role in our advertising and communication efforts. HOW DOES THE BRAND SOUND? Because CSX is an innovative yet human company, the voice of CSX is optimistic, honest, sophisticated, fact-based, poignant and friendly. All communications — whether in the written or spoken word — should reflect this tone.